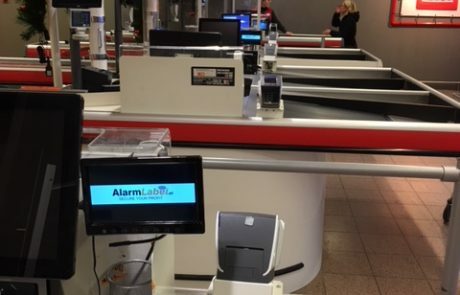 AlarmLabel has an excellent tool that helps your cashiers in pointing out unpaid items. Interested in the available options for your supermarket? Request a free quotation for your company. How does Photo Alert System work? 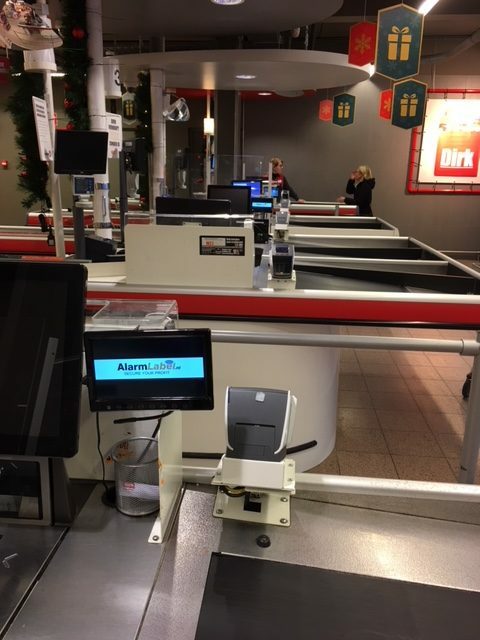 AlarmLabel will place a software box, camera and a small 7 inch monitor at the checkout. 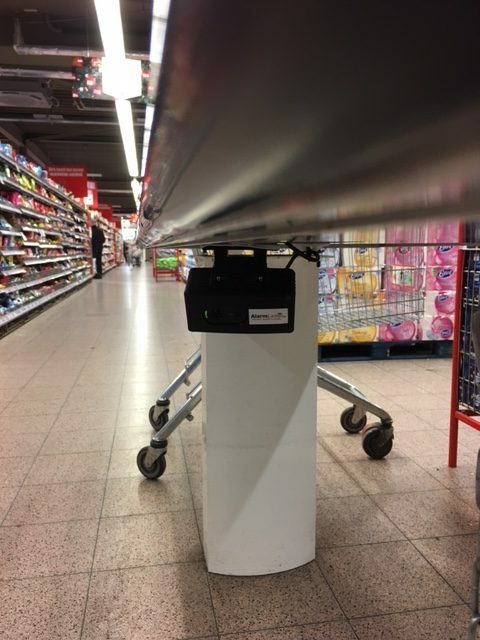 The camera takes a photo of each shopping cart that passes. 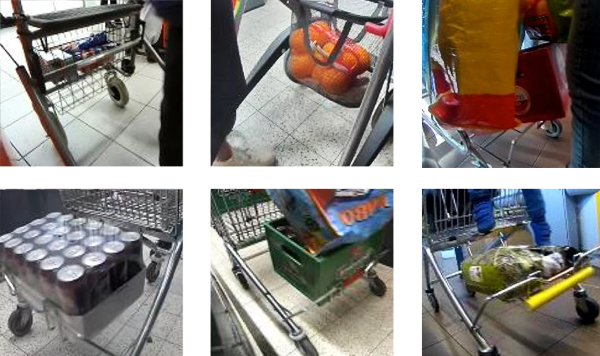 The image is ‘frozen’ and is clearly visible to the cashier for around 25 seconds, even if the shopping cart has long passed the cash register. 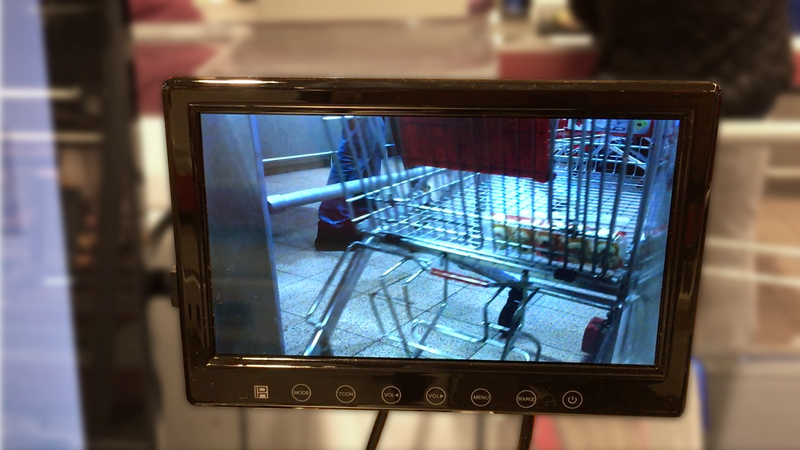 Your cashier has more than enough time to check the shopping cart for unpaid items. 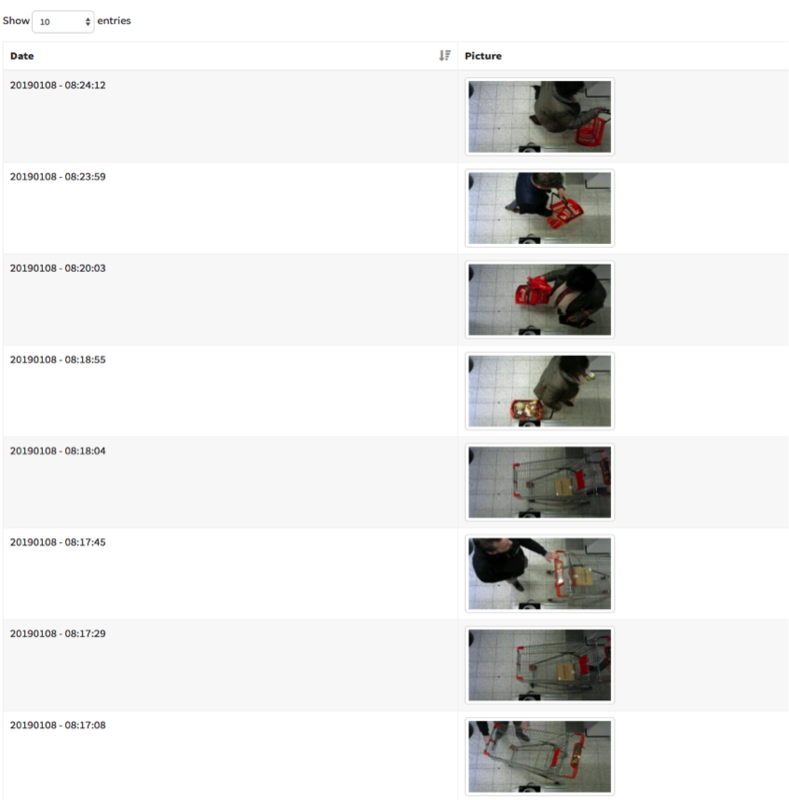 With PhotoAlert OPS, the online portal service, you can see the pictures that are taken at the register, remotely and in real time. As a supervisor, or for a follow-up check. From another work space you can see the same pictures your employees see. 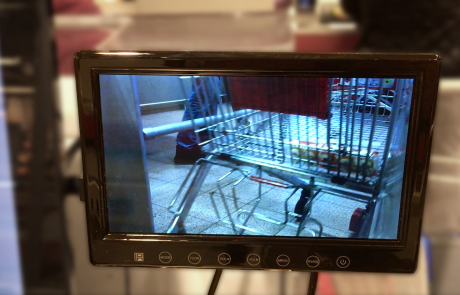 You can select a register to monitor and you will be able to keep an eye on things. Pictures are saved, so you can look at them for a maximum period of 15 days. You can look at the pictures per register, and filter them on date and time. If you want to make use of the service PhotoAlert OPS, the software boxes at every register should be connected to the internet. Then you can login to the picture software on a PC, tablet or smartphone. PhotoAlert OPS will give you an extra tool to decrease the gray loss in your store even further. 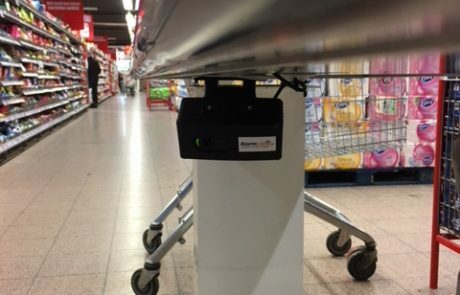 With Photo Alert System you’re giving your cashiers an excellent theft-prevention tool, which surely will lead to higher returns. Interested in the available options for your supermarket? If you become a Reseller for AlarmLabel, you can also offer the Photo Alert System to your customers, in which case you won’t just be offering a unique product, you’ll also increase your profit considerably. Feel free to ask us about the possibilities. Schrijf je nu in voor de nieuwsbrief en blijf op de hoogte van de nieuwste ontwikkelingen rondom AlarmLabel.